This article first appeared in The Edge Financial Daily, on August 10, 2018. 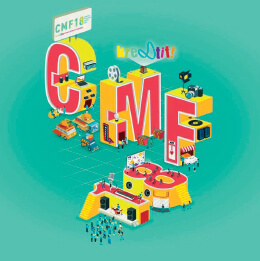 Spend your weekend being entertained and getting creative at the Cyberjaya Multimedia Festival 2018 (CMF 18). Dubbed ‘A Kre8tif Content and Music Celebration’, the community-centric festival is bigger and better this year, expanded to include film, animation, literature and design activities. There are plenty of performances to catch — local music acts that include indie singer NJWA, Bittersweet, Iqbal M and Jaggfuzzbeats — just to name a few. Furthermore, the event will honour a number of animation icons that have come out of local studios, with screenings of Konsert Hora Horey Didi and Friends, Omar & Hana and Ejen Ali in an open air circular amphitheatre. Those who are interested in learning more about the creative process of producing music — including albums, album artwork, music videos and live shows — will have the opportunity to attend various workshops and marketplaces, hosted by Cyberjaya Zine and DIY Festival. The event’s official photographer, Khalil Makata, accompanied by other local photographers and videographers, will be showcasing their creative works as well. CMF 18 is held in conjunction with Southeast Asia’s Kre8tif! Conference and Content Festival organised by the Malaysia Digital Economy Corp, and it is all happening in Centrus Mall, CBD Perdana 3, Lingkaran Cyber Point Timur & Persiaran Multimedia, Cyberjaya, 63000 Cyberjaya, Selangor. Two-day passes can be purchased at the door at RM30 for adults and RM25 for students and groups — admission is free for children ages 18 and younger. If you feel as though you deserve some rest and relaxation this weekend, Traders Hotel by Shangri-La may just be the home away from home you are looking for. Flaunting a glorious view of the Petronas Twin Towers, the hotel offers countless enjoyable amenities, such as a full-service spa, an indoor pool, free Wi-Fi and parking, an award-winning rooftop bar, plus much more. In case the four walls of your luxury room feel insufficient, Suria KLCC Shopping Centre, Aquaria KLCC, Kuala Lumpur Convention Centre and Pavilion are all within walking distance of the hotel. Visit shangri-la.com for more information or to make reservations. Just a short distance from Traders Hotel is Mandarin Oriental, an alternative place to spend a deserving luxury getaway before returning back to the hustle and bustle of everyday life. With over 600 rooms, the Mandarin Oriental sports a full-service spa, two outdoor tennis courts, free Wi-Fi and parking as well as a choice of five restaurants from which to enjoy a delectable meal or two — morning, afternoon or night. In the hotel’s proximity is the Kuala Lumpur Convention Centre, Merdeka Square, Petrosains Science Discovery Centre, and more. Logon to mandarinoriental.com to find out more, and to book a room. End the week on a comical note with LOL Events’ Middle Eastern Comedy Jam — a two-hour show featuring some of the region’s most talented comedians that is guaranteed to make you bend in laughter. 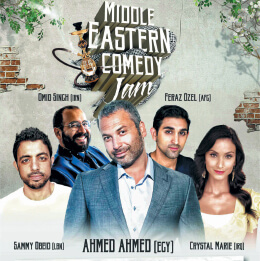 Acts by Ahmed Ahmed, Sammy Obeid, Crystal Marie, Omid Singh and Feraz Ozel, some of whom have performed on platforms such as Netflix, Comedy Central and America’s Got Talent, are sure to give Malaysia an evening that could not possibly be anything short of hilarious. The show begins at 8.30pm today in the Manhattan Ballroom, Berjaya Times Square, Kuala Lumpur. Tickets are between RM80 and RM250, and can be purchased at ticketpro.com.my. 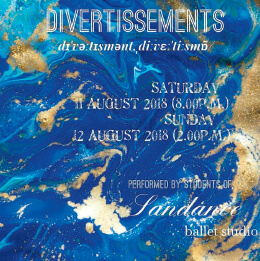 Do not miss Divertissements, a performance presented by Sandance Ballet Studio at the Damansara Performing Arts Centre (DPAC). The show entails a multitude of short dances sans a story or plotline, with the intention to purely showcase the dancers’ talent via depictions of Seasons, Danse Macabre, Paquita Grand Pas Classique, and more modern as well as neoclassical pieces. Make your way to Theatre, DPAC, Empire Damansara, Damansara Perdana, Petaling Jaya tomorrow at 8pm, or on Sunday at 2pm. Call (012) 316 3350 to reserve tickets, priced at RM50 to RM80. Invite a splash of colour into your weekend with The Colours of Imagery — a solo exhibition by Penang-born artist Ken Ooi. As a graduate of the Conservatory of Fine Arts Penang in 1994, Ken has faced a surprising amount of struggle when it came to making it big in the art world. His creations have progressed from watercolour series to more complex, expressive, oil series in only a matter of a few years. Drop by the exhibit at L’atelier Rouge, The School, Jaya One, Jalan Universiti, Section 13, Petaling Jaya, daily from 11am to 8pm until Sunday. Call (012) 429 6125 for more information. Catch some good vibrations on Saturday night with Intim Sessions #9, hosted by the Kuala Lumpur Arts Performing Centre (KLPac). Born in Penang and raised in Kuala Lumpur, performer David Soh is a soul singer/songwriter who is inspired by a large variety of musical genres, including jazz, R&B, indie and acoustic pop. Accompanying him is Rozella, a Kota Kinabalu writer and voiceover artist that is new to — yet undoubtedly cherished in — the Malaysian music scene. Do not miss the show tomorrow from 8.30pm to 11.30pm at KLPac, located at Sentul Park, Jalan Strachan, Kuala Lumpur. Enliven your weekend by attending Publika Jazz, Malaysia’s largest annual jazz festival. Today and tomorrow, from 7pm onwards, you can enjoy a line-up of both local and international musicians showcasing their talent in the genre of jazz as it evolved through the ages — all completely for free. The event features a wide range of acts such as Havana Social Club, Nadir, Jenny’s and the Melody plus many more, from other parts of the world such as Japan, Venezuela, Thailand, Indonesia and Cuba. It all goes down at The Square and Black Box (as well as a jam session at The Social from midnight onwards on both nights) at Publika, Jalan Dutamas 1, Kuala Lumpur. 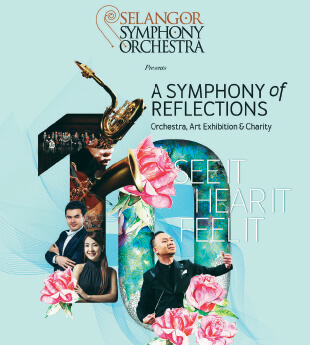 Today, Selangor Symphony Orchestra presents A Symphony of Relfections: Orchestra, Art Exhibition and Charity, a philanthropic event from which all proceeds will be donated to Suka, a non-governmental organisation supporting Orang Asli children in Malaysia. Make your way to the event to support a worthy cause, as well as to witness a stunning array of musical and artistic masterpieces on display. Do not miss the event today from 6.30pm to 10pm at The Gardens Theatre, Level 6, The Gardens Mall, Midvalley, Kuala Lumpur. Call (012) 282 7472 to reserve your tickets, ranging from RM159 to RM399.